DataCamp has a podcast challenge to get you on a podcast segment. We’ll be back with Season 2 early in 2019 and to keep you thinking, curious and data focused in between seasons, we’re having a DataFramed challenge. 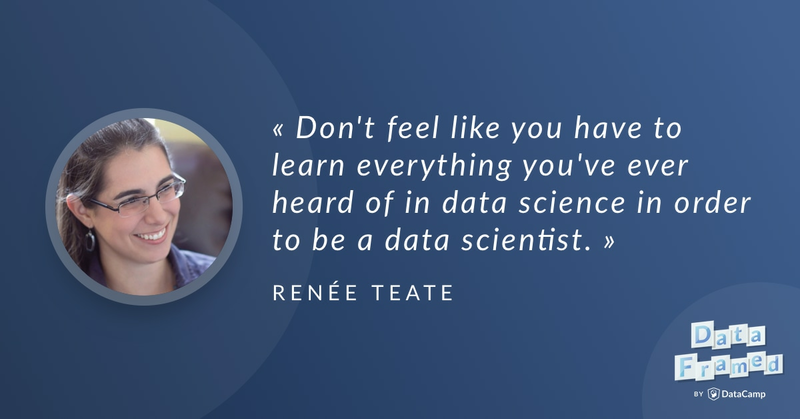 The winner will get to join me on a segment here on DataFramed: the challenge is to listen to as many episodes as you can & to tweet excerpts that you find illuminating to @DataCamp, @hugobowne & the relevant guest using the hashtag #DataFramedChallenge. At the start of Season 2, we’ll randomly select the sender of one of these tweets to chat with Hugo on a podcast segment. The more tweets you send, the more chances you'll have to win. Don't just tweet the same quotation more than once as we'll delete duplicates ;). You can find the podcast episodes on DataCamp, YouTube, and iTunes.